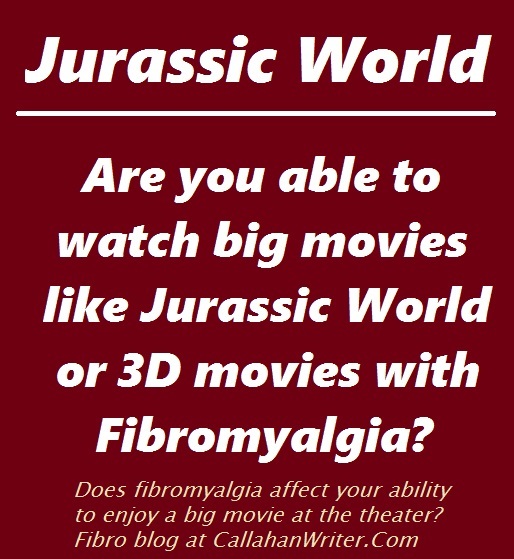 A Day In My Life With Fibro – At The Movies Jurassic World | Troy C. Wagstaff aka CallahanWriter Blog: Topics of interest include Western Historical (1865-1899) Topics. Additionally inspirational Christian and Fibromyalgia interests. I use to love going to the casino but lately i am unable to enjoy it for the same reasons you mentioned about the movies. I end up dizzy disoriented and massive head ache its so fustratrating to have to give up things we enjoy.